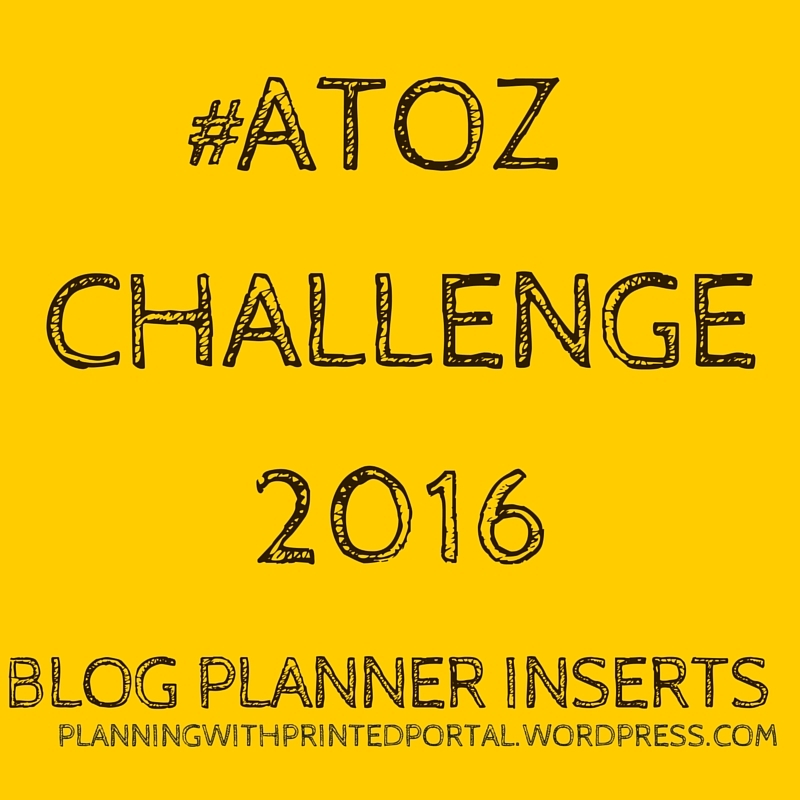 We have now reached the end of the April A to Z Challenge – we hope you enjoyed the challenge. Below is the list of all of the Challenge Posts with links to the free plaanner insers and downloads (you can also find this for ease of reference on our a to z challenge page). We have already mentioned about the importance of building in stress management into your routine by having times when you are unavailable (including when you are asleep). However, as well as turning off it is important to have a treat or reward list for your different milestones. We hope you enjoy our FREE PRINTABLE BLOG PLANNER INSERTS this month – don’t forget to check back each day for more. All blog posts inserts are extracts from our BLOG PLANNERS currently available on Kickstarter. If you are a vlogger or on youtube – you should have a section in your planner dedicated to your videos and your youtube presence. Today we are sharing a 2 page youtube video planner. In any blogging planner it is important to keep extra pages for whenever inspiration might strike. In my filofax planner I always carry a lot of extra inserts (spares) for all purposes – including Blog Posts & Content, Notes & Brainstorming and simply my next great idea. We have already talked about statistics which included visits and views to your website or blog… but what about your visits to other websites and blogs. Hopefully you have been reaching out to your contacts but in many ways to have to treat it like networking and ensure that you reach out and visit your priority contacts on a regular basis and visit IRL and online events to grow your community and build your contacts. 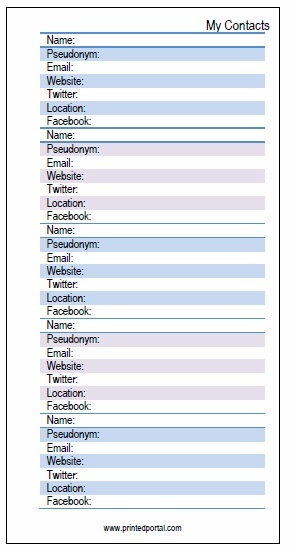 Today we are sharing with you one of our networking inserts to help keep track of the events you visit/attend. Part of the Holiday and Planner Section of your blog planner you should also been keeping track of YOUR holiday, time off and availabilities. To be available 24 hours a day is a nightmare for your own stress management. If you are self-employed or blog on the side – you need to be in control of your time, have personal RULES for when you are UNAVAILABLE! Your statistics are important but what is more important is content. Blog content is essential – but it doesn’t hurt to put a bit more thought into your social media content. I try not to get to hung up on the statistics. I blog because I enjoy it. I write because it helps me de-stress. However, stats can be a great way to keep track of how your blog is growing. One of the great things about blogging is the community. Participants in the A to Z Challenge will know that one of the great things about it is the community. Being a blogger you may wish to network and reach out to other bloggers in your niche and in the community. How often to you keep in contact and reach out to your fellow bloggers?